A common thread that I’ve noticed in many of these is the high regard paid to our four guest speakers Prince Reza Pahlavi, Jacqueline Birn, Nils Olsen, and Greg Simon. In her reflection, IB Language & Literature teacher Breanna Reynolds praises her students for being inquisitive during their time with Iran’s Prince Reza Pahlavi, and each guest speaker appears to have drawn a considerable amount of buzz from teacher and student alike. 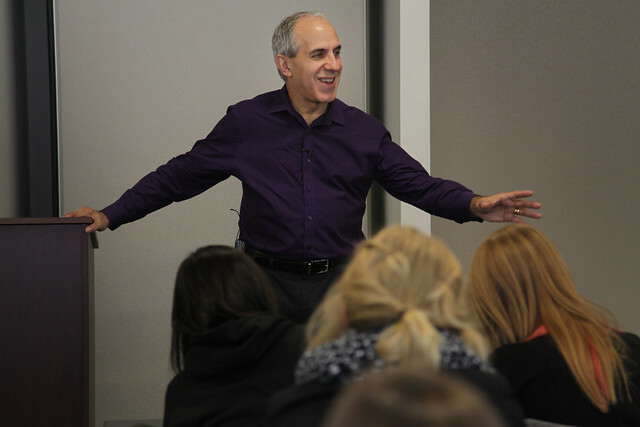 The talk given by the final speaker of the trip, Greg Simon, has proven to be a particularly popular source of introspection for those in attendance. A former Senior Congressional staff member in the United States House of Representatives and Senate, as well as the former Chief Domestic Policy Advisor to Al Gore, Mr. Simon spoke candidly about how the U.S. government was formed, how it currently works today, and how it will survive in the future. After speaking on America’s infrastructure, Mr. Simon proceeded to answer the bevy of questions brought on by his captivating subject matter. While most of the Washington D.C. reflections and critiques have been a combination of photos and written word, 10th grader Hannah C. decided to go an illustrated route in capturing her moment spent with Mr. Simon. Using sketches created on her iPad, Hannah tells the story of, as she describes it, “the highly dramatized version of the past week… from the melodramatic mind of a keen adolescent.” You can view Hannah’s artwork below, and feel free to leave a comment if you enjoy it.